Officials say the United States is considering letting Iran run hundreds of centrifuges at the underground Fordow facility. The United States is considering letting Iran run hundreds of centrifuges at a once-secret, fortified underground bunker in exchange for limits on centrifuge work and research and development at other sites, officials told The Associated Press (AP) on Thursday. Western officials familiar with details of the negotiations told the news agency the deal would allow Iran to run several hundred of the devices at the Fordow facility, although the Iranians would not be allowed to do work that could lead to an atomic bomb and the site would be subject to international inspections. In return, according to those officials, Iran would be required to scale back the number of centrifuges it runs at its Natanz facility and accept other restrictions on nuclear-related work. Instead of uranium, which can be enriched to be the fissile core of a nuclear weapon, any centrifuges permitted at Fordow would be fed elements such as zinc, xenon or germanium for separating out isotopes used in medicine, industry or science, the officials told AP. The number of centrifuges would not be enough to produce the amount of uranium needed to produce a weapon within a year — the minimum time-frame that Washington and its negotiating partners demand. 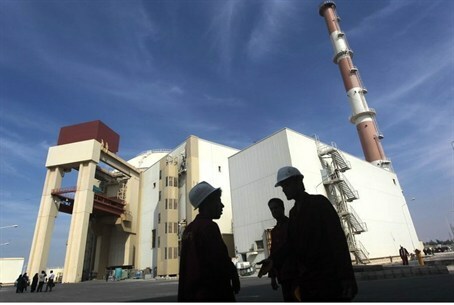 Fordow, with nearly 3,000 centrifuges and dug deep into a mountain near the city of Qom, some 150 kilometers (90 miles) south of Tehran, is at the heart of international concerns over Iran's nuclear drive. Iran has continuously refused to shut down the underground site despite demands by world powers to do so. The officials spoke to AP only on condition of anonymity because they were not authorized to discuss details of the sensitive negotiations as the latest round of talks began between U.S. Secretary of State John Kerry and Iranian Foreign Minister Mohammed Javad Zarif. The negotiators are racing to meet an end-of-March deadline to reach an outline of an agreement that would grant Iran relief from international sanctions in exchange for curbing its nuclear program. The deadline for a final agreement is June 30. The report came as reports indicated that Iranian President Hassan Rouhani had conducted phone conversations with the leaders of Russia, France and Britain, in an indication that negotiations between Iran and the P5+1 nations over Iran's nuclear program have entered their “final stretch” and are very near completion. One senior U.S. official declined to comment on the specific proposal but said the goal since the beginning of the talks has been “to have Fordow converted so it’s not being used to enrich uranium.” That official would not say more. Experts who spoke to AP warned that the compromise for Fordow could still be problematic, noted it would allow Iran to keep intact technology that could be quickly repurposed for uranium enrichment at a sensitive facility that the U.S. and its allies originally wanted stripped of all such machines. In addition, the site at Fordow is a particular concern because it is hardened and dug deeply into a mountainside making it resistant — possibly impervious — to air attack. Such an attack is an option that neither Israel nor the U.S. has ruled out in case the talks fail. David Albright of the Institute for Security and International Security said a few hundred centrifuges operated by the Iranians would not be a huge threat — if they were anywhere else but the sensitive Fordo site. Beyond its symbolic significance, “it keeps the infrastructure in place and keeps a leg up, if they want to restart (uranium) enrichment operations,” said Albright, who is a go-to person on the Iran nuclear issue for the U.S. government. His institute has several times in the past exposed satellite images of cover-up work Iran was doing at its military site in Parchin.